Hot summer weather, a driver's consumption, easy fatigue, on the other hand the machine due to the high temperature it is easy for the shortcomings, so both will adjust, even for the summer to add oil and check for excavator, cooling system, although the summer high temperature make people and excavators have to bear, but also must do long arm excavator maintenance. 1, high transmission efficiency, in order to give full play to the power of the initiating machine and fuel economy. 2. The hydraulic and hydraulic components have enough dependability under the load change and the sharp vibration impact. 3, reduce the total calorific value of the system, so that the hydraulic oil temperature of the main engine does not exceed 80 degrees, or the temperature rise does not exceed 45 degrees. 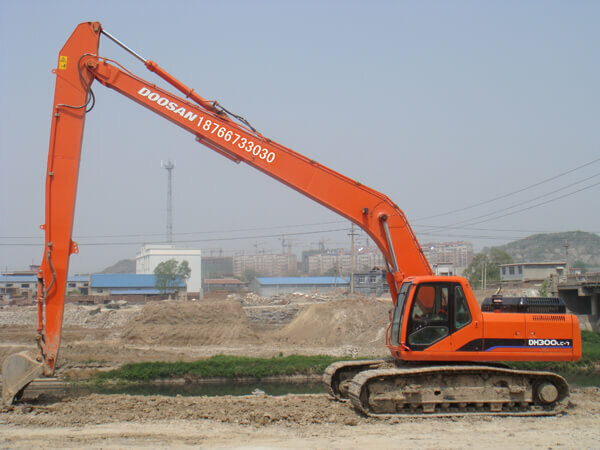 4, because the dust of excavator is much, the hydraulic oil is easy to be polluted. Therefore, the sealing performance of the hydraulic system is better, and the sensitivity of hydraulic components to oil contamination is low. The whole hydraulic system should be equipped with oil filter and dust-proof installation. 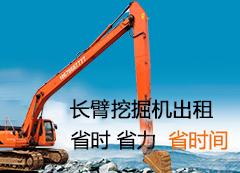 5, adopt hydraulic or electro-hydraulic servo control installation so as to set up automatic control system for excavator, and then improve the technical performance of excavator and reduce the labor intensity of the driver. With excellent products, perfect service and reliable reputation, we will help you successfully, and sincerely welcome all the colleagues from all walks of life to negotiate business.